Today I am going to be reviewing one of my latest obssesions....Professional HD cream foundations by Graftobian & Ben Nye. I stumbled upon the graftobian foundation review on Miss Natty's Beauty Diary and its kinda funny because like here, I have been looking for a professional, durable and wonderfully covering foundation [not sure that is gramatically correct lol] Anyway, I decided to try it our for myself. My research began as to which palette is right for me, and being an "NC35" in Mac, and finding out that my perfect tone would be 'Buttermilk' in Graftobian's foundation (Thanks to Natty's review) I decided to buy the 'Warm' Palette by Graftobian, as it is the right palette for someone with yellow tones in their skin, like me and also the single colour of "Buttermilk" for everyday use. If you have pink undertones in your skin, the correct palette for you would be 'Cool'. If you have Grey/Neutral undertones, the correct palette for you would be 'Neutral'. There are three smaller "5 tone" palettes available for each tone which retail at around £22, or you can buy the entire collection of your tone's palette, which comes with all 18 colours which retail at around £81. I attempted to buy the palette and other bits & bobs off Graftobian's website but it wouldn't work, so luckily I found a UK based website that sells a more limited stock of Graftobian's make-up, but luckily had what I was looking for. After having a look around the website, I also stumbled across the "Ben Nye Matte palette" and after not being able to decide on the Ben Nye or Graftobian one, I got them both. One of the handy things about the Ben Nye palette is that it comes in a sort of paint-like palette and has room for mixing the colours. Each individual colour also pops out, which is really handy if you want to take one with you rather than the entire palette, and they have nifty little lids ! 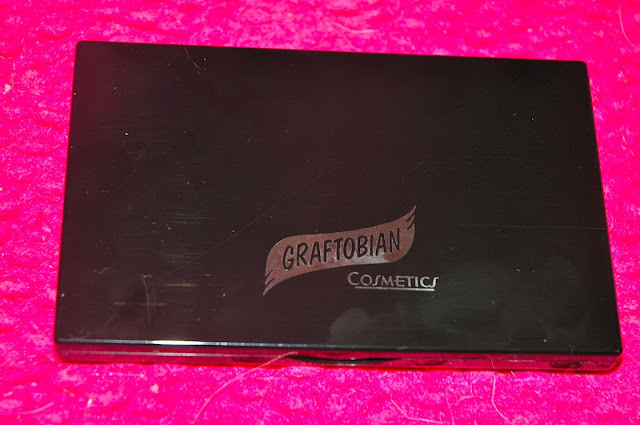 I also got my hands on some fake eyelashes and the Graftobian Cake Liner in Black, RRP around £9 which is pictured below with the single colour of Graftobian HD cream foundation in"buttermilk" which retails at £13.50, and their swatches follow. I also got my hands on some false eyelashes, that retailed only at a very low £3.50 !! I have to say that I am really happy with all of my purchases, and I think that both the Graftobian Palettes and Ben Nye palettes are amazing, and I am very glad I bought both. The Graftobian Palette is very creamy, and a very little goes a long long way ! I love the creamyness, the lack of cakyness is also great, and it last a super long time ! (Make up remover struggled to get off the swatches). It is very pigmented and coverage is impeccable ! 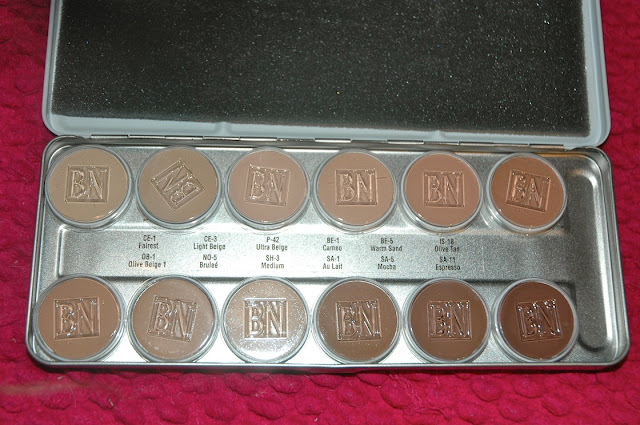 You do also get more colour's than the Ben Nye but then again, this palette costs £30 more than the Ben Nye. The Ben Nye palette is slighty less creamy than the Graftobian, but the overall packing is more versatile if you want to take a single colour on-the-go with you. The colours are also very pigmented, and hard to get off, but are great with coverage, and for £30 less than the Graftobian, the difference is only slight, and this palette will do just as good of a job. Anyway, I hope this review helped you guys out, and if you want a little more info, dont hesitate to check out Natty's blog as it really helped me out alot. Your welcome doll, its really amazing ! hey lex! i just watched your video on these palettes and i reaally liked the review but also the song of your intro! can you please tell me where its from?! Is buttermilk good for nc37 or is it too light? Vert informative blog usefull for all of us.